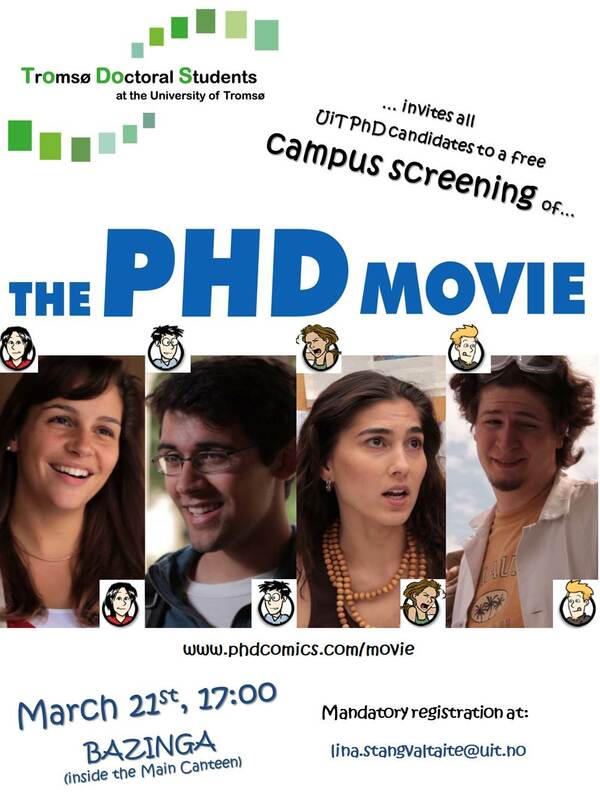 Following up on the Lecture by Jorge Cham, TODOS will screen the PhD Movie, the live-action adaptation of the online comic strip Piled Higher and Deeper (phdcomics.com). TODOS will provide food from Bazinga, and it is possible to buy drinks there. To know how much food to order, registration is mandatory to lina.stangvaltaite@uit.no.